Ingredients: Glycerin*, aloe barbadensis leaf juice*, aqua (water), cetearyl olivate, hydrated silica, sodium cocoyl glutamate, sorbitan olivate, volcanic sand, benzyl alcohol, lactobionic acid, pyrus malus (apple) fruit extract, tartaric acid, citrus aurantium (neroli) flower oil*, citric acid, salicylic acid, citrus medica limonum extract, copper pca, hydrolyzed grape skin, hydrolyzed wheat bran, xanthan gum, cananga odorata flower oil*, backhousia citriodora leaf oil*, sorbic acid, sodium benzoate, potassium sorbate, linalool, citral, limonene, geraniol, hexyl cinnamal. 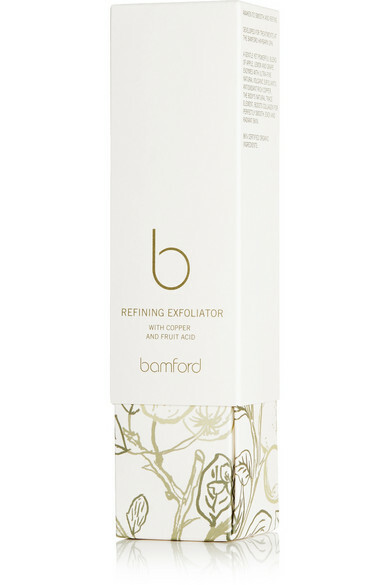 Bamford's 'Refining Exfoliator' is made with antioxidant Copper Salt - a powerful ingredient that protects against free radicals. 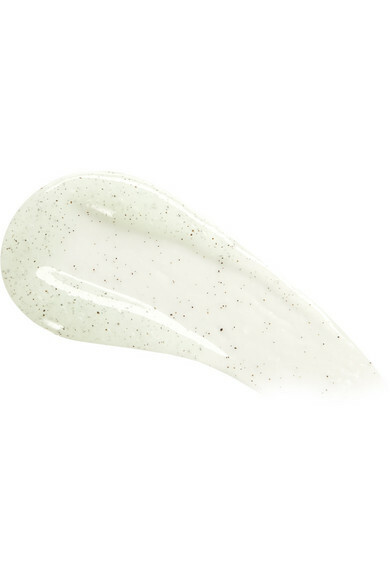 It's also blended with extracts of Apple, Lemon and Grape and volcanic exfoliants which work together to slough away dead skin cells. Use it as part of your cleansing regimen to achieve a radiant and even complexion.